Except a few, we all understand what Pink means to us! If you’re planning a girls’ day out or a shopping spree with your bestie, this one’s for you. 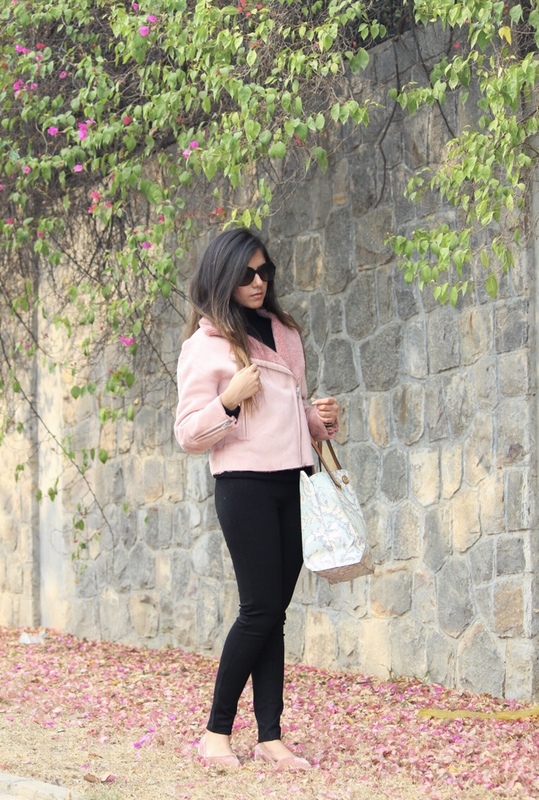 Try this uber cool yet stylish, pink faux shearling suede jacket over a zero neck black full sleeves T-Shirt with the signature black jeggings and rose gold velvet pointed toe flats. Alternatively, you can also wear this jacket with a white t-shirt inside, paired with blue denims and black boots for a chic look.